Working parents often struggle during the holidays, with their own annual leave entitlements falling well short of the 12-plus weeks set aside for their children’s school holiday breaks, with normal working life continuing for most parents. 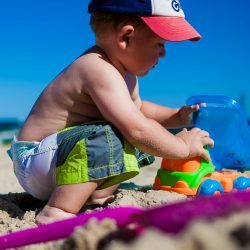 Often parents coordinate their annual leave to try and meet Child Care requirements, whether parents need to take holidays or rely on family and friends to look after their children. We provide assistance for families that often struggle to find care for their children during the school holidays. One alternative which we offer is a Nanny Share Option, whereby multiple families combine to keep their children in a home environment and share the cost of the Nanny. Families visit the South Coast Region to have a break and/or a holiday experience. They may be visiting one of the many vineyards, seeing community arts and crafts, attending a cooking school or going on a day trip to a country village. Our service can make it easier for travelling families in a holiday destination who wish to visit tourist sites which may not be appreciated by their children. Parents have the opportunity to enjoy the culinary delights of the area, get involved in events and have an opportunity to explore the South Coast child free. Opportunity to explore the South Coast. Flexible times that compliment their needs. Time out without the children. Time out with their partners. Ability to take part in Tourism experiences and engage in activities which are not child friendly. Guilt/free time where they are reassured that their children are professionally cared for. They have a fun day. Variety of a new person to play/engage with. 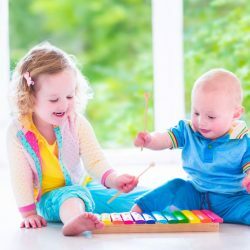 They have a Nanny who has an engaging personality, talents and enthusiasm which match their personalities and interests. Child focused activities which are age appropriate, interest-based and help to develop key learning areas and areas of development are provided. Every parent knows, if the children are happy, the parents are happy! We want to help parents with their holiday, to make it their holiday too. Contact us Today for help on your next holiday to the South Coast.